Bank Holidays 2014 are the national public holidays in India. Most of the people get a day off from work, but there is no legal right to not work on these days. The people who are employed with the essential services (government employees) such as police, health and fire; must still keep working even on these days. Adding more to this point, many of the people who are employed in travel industries and retail stores keep working even on the day when it's an off (weekend), as these days are recognized for family outings. The few days on which each and every person actually gets a holiday are the Bank Holidays or the Gazetted Holidays. Bank holidays in India mark either religious occasions or national celebrations. Given below is the list of legal Bank Holidays in 2014 in India. Bank Holidays are important to all and therefore it turns really easy to manage things if the right information about the exact dates is provided well in advance as on these days all the banks and government offices remain closed. Ultimately, no other businesses could operate on Bank Holidays 2014. 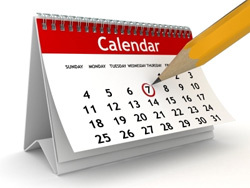 The list of Bank Holidays 2014 takes hold of all the Gazetted and public holidays. Therefore, with the assistance of below mentioned Bank holidays 2014, you can manage your schedule in accordance with your holidays. Bank Holidays for 2014 performs like a support that lends a hand in making a proper work schedule together with managing other activities in a perfect manner. Most of the business persons manage all their deals and payments through online banking system. Therefore, a day when bank remains closed might be a big problem for these people as a few of the online banking facilities can be accessed only if the bank is open. Bank Holidays of 2014 plays a major role at this time, as it makes really easy for the business persons to keep a check on their payments and dealings (in advance). This makes sure they don't face any sort of financial loss or loss in business dealings due to a Bank Holiday. The individuals who are regularly involved in the monetary transactions through bank services can actually get assisted with the 2014 Bank Holidays. This holiday list turns it really easy for the people to manage their work schedule and therefore they can live a tension free life with all the things managed well in advance.